“And I again remind our witnesses, our audience, and members that the mission of the Broadcasting Board of Governors is: Quote. ‘To inform, engage, and connect people around the world in support of freedom and democracy.’ End Quote. This is broadcast for freedom and democracy. If you think that this is an impartial broadcasting, then you’re not fulfilling your mission because you are supposed to stand for freedom and democracy. That is the direction, that is what the BBG is supposed to do. We don’t have to change the mission, we have to change the folks in charge of the programing who don’t have any idea what their mission is. So, this is an important mission, it’s of great interest to this committee. Earlier during the hearing, Rep. Eliot Engel (D – NY) noted the Office of Personnel Management (OPM) surveys showing that the management of U.S. international broadcasting is rated as being among the worst in the entire federal government. The BBG oversees the Voice of America, Radio Free Europe/Radio Liberty, Radio Free Asia, Radio and TV Marti, and the Middle East Broadcast Networks. The entire hearing can be watched at this link. 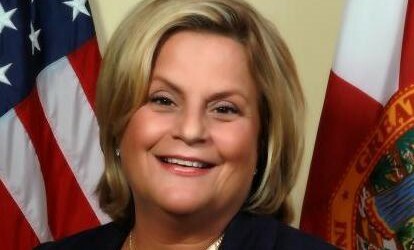 Link to Rep. Ileana Ros-Lehtinen’s concluding statement.